Making sense of AWD vs rear wheel drive vs front wheel drive needn’t be difficult. What it means to consumers is more choice and flexibility to more appropriately meet their driving needs. Here is a brief look at each, including the pros and cons. It seems as if front wheel drive cars have been around forever. In truth, they’ve been around since the 1920s, according to most sources, but front wheel drive cars didn’t catch on with the American public until the 1970 gas crisis. Automakers began searching for ways to make cars more fuel efficient. That meant reducing the size and weight of the vehicle to make it smaller. But, to do this, they needed a new layout so that there’d be increased interior room in the smaller overall package. Engineers came up with front wheel drive as the solution. With front wheel drive, placing the engine and transaxle up front, there’d be no transmission hump running the length of the passenger compartment. The engine bay size was also reduced due to engines being placed transversely. 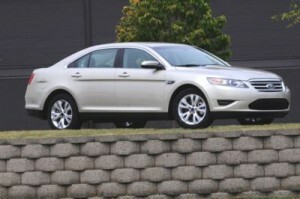 Front wheel drive cars include the Hyundai Sonata, Volkswagen GTI, and Ford Taurus, and others. With 60 percent of the weight in the front and 40 percent of the weight in the rear, front wheel drive now had the advantage in slippery conditions such as ice and snow. With more of the weight over the front drive wheels, this reduces slip during acceleration. Front wheel drive cars have better packaging efficiency, offering more interior room and generally (but not always) better fuel economy. Since most of the car’s weight is in the front, front wheel drive cars are not as well balanced. This affects handling. Torque steer – where the steering wheel pulls to one side during acceleration – can be a significant issue in front wheel drive cars with engines that deliver more than 250 horsepower. Getting back to the gas crisis, up until that time, rear wheel drive cars were king of the road – literally. It took about 10 years for the shift from rear wheel drive to front wheel drive to take place. By the mid-1980s, almost every economy, family sedan, minivan and even some sports cars came with front wheel drive. The big luxury automakers – Mercedes-Benz and BMW, however, kept with rear wheel drive. Over the years, however, more vehicles were re-introduced with rear wheel drive. Why the return to rear wheel drive? Enthusiasts know that the more powerful the car, the more difficult it is to have one set of wheels doing the two jobs of steering and acceleration. More balance is achieved by splitting the responsibilities: front tires do the steering and rear tires do the driving. Most rear wheel drive cars have more of a 50/50 weight distribution, which provides more predictable handling. Rear wheel drive cars include the Chevrolet Corvette and Camaro, BMW 3-Series, Ford Mustang, Mazda MX-5 Miata, and others. 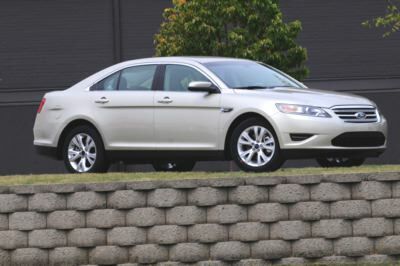 Rear wheel drives offer better handling, especially with more powerful engines. With the advent of advanced technologies such as traction control and electronic stability systems, the major advantage of front wheel drive cars is greatly reduced. Rear wheel drive cars tend to be heavier, cost more money, and be less fuel-efficient (but not always), than front wheel drive cars. With AWD, automakers actually hedge their bets: AWD offers the best of both rear wheel drive and front wheel drive. There’s also four-wheel drive, but that’s mostly for off-road vehicles such as sport utilities and pickups. Not to be too confusing, there’s full-time four-wheel drive and part-time four-wheel drive – but we’re more concerned here with AWD. Suffice to say, the reason consumers buy either AWD or four wheel drive is to help them accelerate and keep moving on slick surfaces. AWD transfers power (torque) from the wheel (or wheels) with the least traction to one that has more traction, thus reducing wheel spin. AWD is always active. Cars that have standard AWD include the Audi A3 with Quattro all-wheel drive system. Many rear wheel drive cars are also available with optional AWD, such as the Cadillac CTS. Advantages of AWD include sporty handling (without rear wheel drive), driving in snow. Consumers may need AWD for their driving needs.